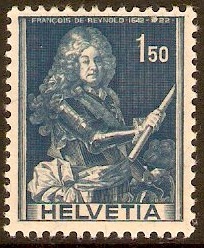 Switzerland 1941 50c Deep violet-blue on blue-green. SG405. Unmounted mint 1941 50c Deep violet-blue on blue-green. SG405. 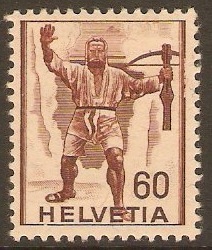 Switzerland 1941 60c Reddish brown on cinnamon. SG406. Mounted mint 1941 60c Reddish brown on cinnamon. SG406. 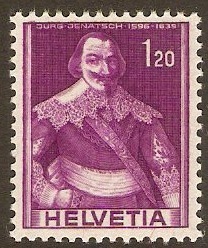 Switzerland 1941 70c Deep reddish purple on mauve. SG407. Mounted mint 1941 70c Deep reddish purple on mauve. SG407. 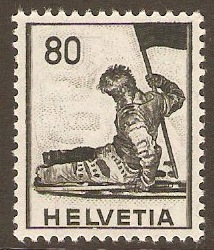 Switzerland 1941 80c Black on olive-grey. SG408. Unmounted mint 1941 80c Black on olive-grey. SG408. 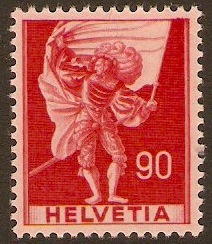 Switzerland 1941 90c Scarlet on pink. SG409. Unmounted mint 1941 90c Scarlet on pink. SG409. 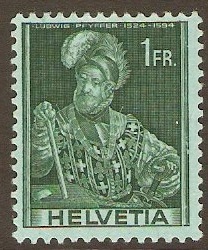 Switzerland 1941 1f myrtle green on blue-green. SG410. Used 1941 1f myrtle green on blue-green. SG410. 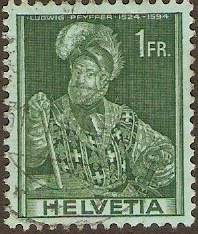 Switzerland 1941 1f Myrtle-green on blue-green. SG410. Unmounted mint 1941 1f Myrtle-green on blue-green. SG410. 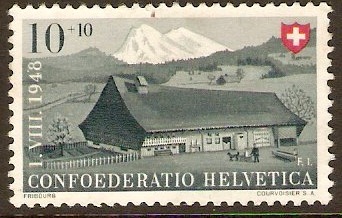 Switzerland 1941 1f.20 Plum on olive-grey. SG411. Unmounted mint 1941 1f.20 Plum on olive-grey. SG411. 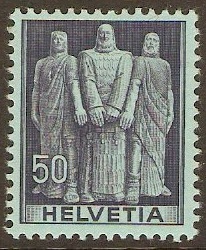 Switzerland 1941 1f.50 Indigo on buff. SG412. Unmounted mint 1941 1f.50 Indigo on buff. SG412. 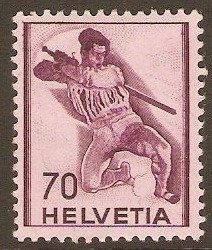 Switzerland 1941 2f brown-lake on pink. SG413. 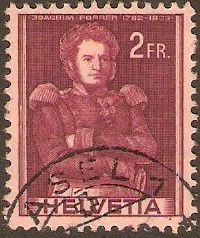 Used 1941 2f brown-lake on pink. SG413.